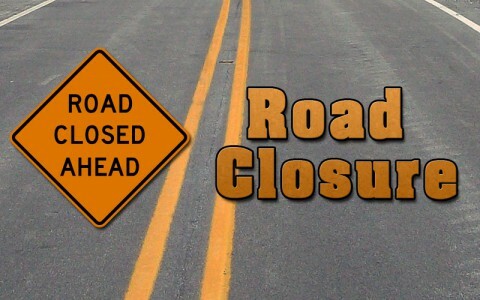 Nashville, TN – The Tennessee Department of Transportation (TDOT) reports that in Montgomery County on SR 374 (Warfield Boulevard) there will be widening work from South of Dunbar Cave Road to West of Stokes Road on Tuesday, September 18th, 2018 from 9:00am until 3:30pm. There will be intermittent road closures on Warfield Boulevard, between Dunbar Cave Road and Stokes Road, for pre-split blasting. All traffic will be halted during the blasting process until all debris is removed from roadway. On Friday, September 14th through Monday, September 17th at 5:00am, I-24 eastbound at mm 9.4 will be reduced to one travel lane for sinkhole repairs. Drivers should expect lengthy delays and consider an alternate route. Daily, from 9:00am until 3:00pm, there will be periodic flagging operations along SR 13 and SR 149 for clearing and grade work operations. Nightly, from 8:00pm-6:00am (excluding Saturday), there will be nightly lane closures on I-24 in both directions, between mile markers 24 and 37, for milling and paving operations. Friday, September 14th through Saturday September 15th, from 8:00pm-5:00am, there will be a right lane closure on the I-24 eastbound ramp to SR 155 (Briley Pkwy) northbound at MM 43 for maintenance work on cameras. One ramp lane will remain open. Daily, from 9:00am-3:00pm, there will be alternating lane closures on SR 100 at Pasquo Road for replacing storm drainage, installing conduit for traffic signals, and paving work. Traffic control will be utilized. One lane will remain open. On Tuesday, September 18th, from 8:00pm-5:00am, there will be lane closures on I-24 eastbound from MM 40-43 for milling and paving operations. Two lanes will remain open at all times. On Tuesday, September 18th, from 7:00pm-2:00am, TDOT Maintenance will be closing SR 48 in order to replace a pipe culvert at LM 7. Daily, from 8:00am-3:30pm, there will be intermittent lane closures for paving operations along SR 65 and SR 11. Most work is weather dependent and subject to change due to inclement weather. For more information on this or any other TDOT road construction project or to view travel conditions in this area visit the TDOT SmartWay Information System web site ( http://www.tn.gov/tdot/tdotsmartway/ ).